Essential Oils are all the rage. Go to the most common retailers and you will spot some essential oils for sale. As a NAHA Certified Aromatherapist, and a Certified Angel Healer Practitioner, Essential Oils have a very different meaning and perspective to me. There is no “cure in a bottle, one size fits all” essential oil. There are many layers and aspects of essential oils that when understood and utilized can provide wonderful daily living support, as well as create energetic life shifts and more. Mother Earth is here to support us in our daily living. Essential Oils are extracted from plants using a variety of methods. There isn’t just one “lavender” oil, rather just as you can imagine the many types of rose bushes, there too are many different types of lavender plants. Knowing the Latin name of the plant, as well as the country of origin, all impact the characteristics of the plant. Like humans, each living plant has it’s own unique energy. While there are commonalities, overlooking the uniqueness of each plant is truly short changing the intrinsic value of an essential oil. 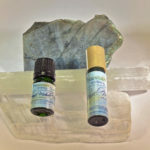 The Angels invite you to recognize that Essential Oils are also Earth Angels. 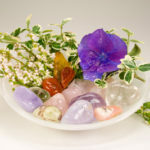 They contain unique vibrating energy frequencies and can be used to help you in every aspect of your life. Just like Angels, Essential Oil Earth Angels are equally wanting to help and support you. 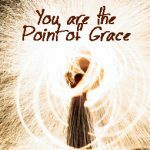 We often are concerned with our physical bodies, and may not recognize that we also have an emotional body, a mental body and a spiritual body as well. Energy can get stuck or trapped in any of these bodies. Often times when we experience dis-ease, it can often be traced to a trapped lower energy within one of our energetic bodies, and then manifest in the physical body. The over simplification and over generalizations of essential oils has misguided the bigger picture understanding that these Earth Angels can provide in our lives. 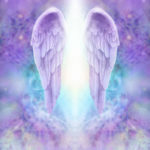 The Angels want us to know that often times we get stuck on our paths simply because we have not understood the lesson we were intending to learn. Old emotional energy, that goes unresolved or “unhealed”, remains very much a part of you and therefore, your day to day experience. The laws of science show that we attract what we vibrate. The Laws of the Mind indicate that emotions will always win over logic. The Law of Dominant Effect indicates that the strongest emotion will always win. 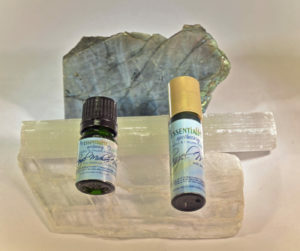 The Angelic Energies of Essential Oils can help release old energetic patterns, can clear and clean the mental body, can clear and energize living spaces, can support emotional balance and mindfulness, helping to attract the higher vibrational energies of joy, peace and love. Essential Oils, when blended intentionally, knowing what chemical components make up the oil, can create true energetic shifts in your life. The holistic approach to healing is repair, support & protect. Essential ols are complimentary to other holistic practices such as mindful living. A single oil as a stand alone, if truly unadulterated, has the potential to impact a specific aspect of your life. Utilizing intentionally blended essential oils has the potential to impact multiple aspects of your life. Blended Essential Oil use can be compared to a musical orchestra. The orchestra when combined, makes a musical symphony.